Mills Pest Management > Blog > Uncategorized > Drywood Termites Are Swarming! After the rain and when the Glendale weather starts to warm up, your home can become an accidental hotel for termites. 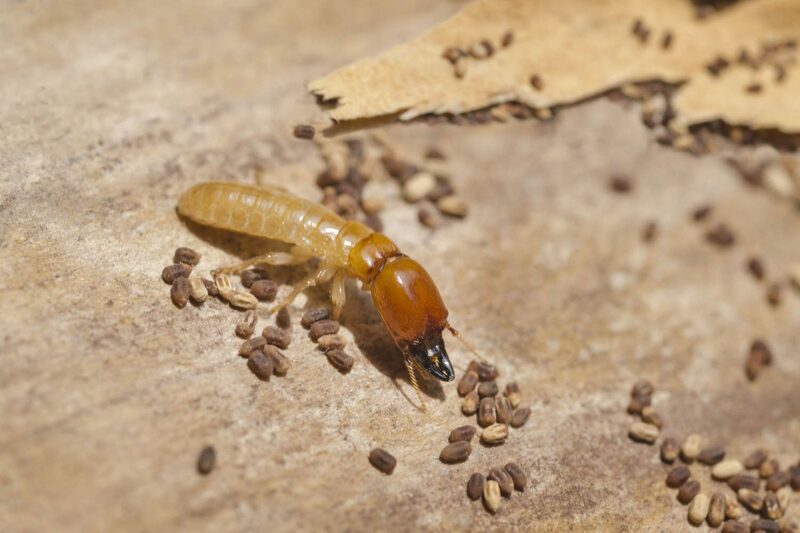 To better prevent termite swarming, and to avoid unnecessary pest control, Mills Pest Management is here to offer some insight and tips to protect your property as well as your sanity. We recommend having your residential or commercial property thoroughly inspected by one of our professionals so you know for a fact whether you have to worry about drywall termites and what you can do to prevent future infestations. While you might think you can check your property yourself, drywall termites are a special breed that requires experience to detect. Understanding how termites work also goes a long way. For instance, termites often do not swarm until they are developed enough to do so, which is usually at three years old. Specifically, termites swarm to set down roots elsewhere with a new colony. Once termites mate, queens can lay as many as a million eggs during their lifetime, and your property could serve as the nest for those eggs. Upon first glance, drywall termites and swarmer ants can look the same. Know that a drywall termites wings are all the same length while swarmer ants have one pair of wings that are shorter than the other. To determine for sure what you’re dealing with, have a professional take a look. Don’t take any chances when it comes to the integrity of your Glendale or Burbank property. Reach out to us here at Mills Pest Management for more information, or if you’re in need of a professional inspection of your home or business. Burbank’s Complete Pest Control Service Provider.